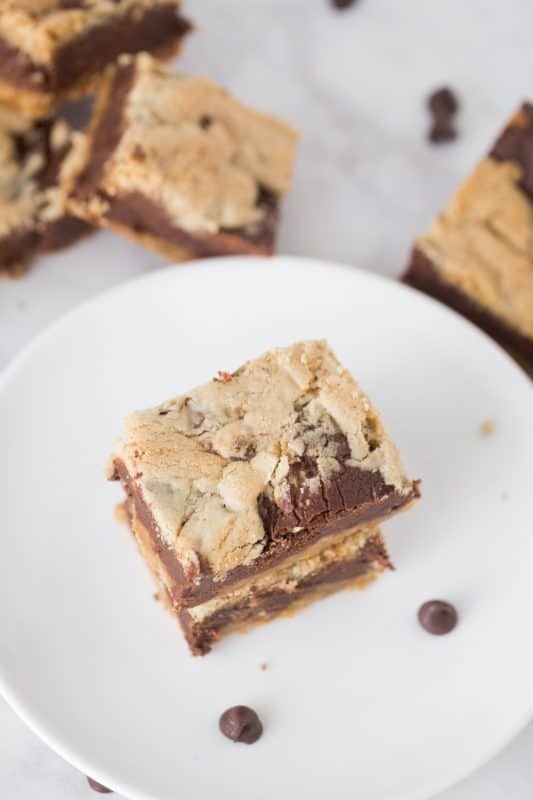 Chocolate Chip Dream Bars are a moist and tender cookie bar with a layer of decadently soft chocolate combine with the taste of butter and brown sugar to make this bar truly a dream. 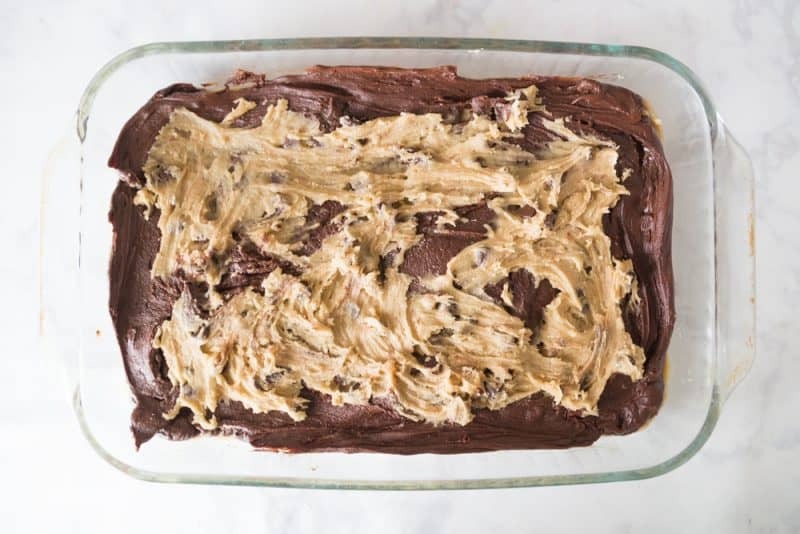 The ingredients are simple (as I prefer them to be) and incorporate one of my favorite shortcuts for cookie bars: Baking Mix (think Bisquick). When I was developing the recipe for these bars my mother and I were scheduled to go on a quilt retreat the following day so I brought them with me to see how they went over. They were gone before I even went to bed that evening and I hand wrote the recipe out the following day to pass around to those who had asked for it. 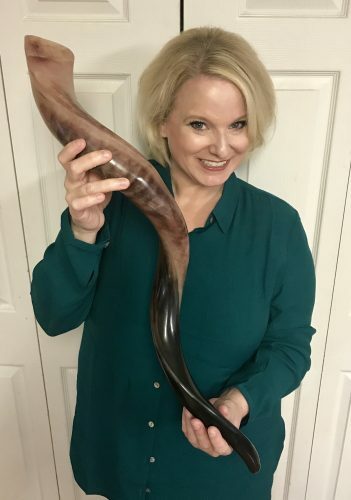 If you’d like to visit a spell and see what all my husband and I got into during out Staycation, keep reading. If you’d like to jump right to the recipe, click here. This week is fall break for many folks and we usually take a little road trip around this time. 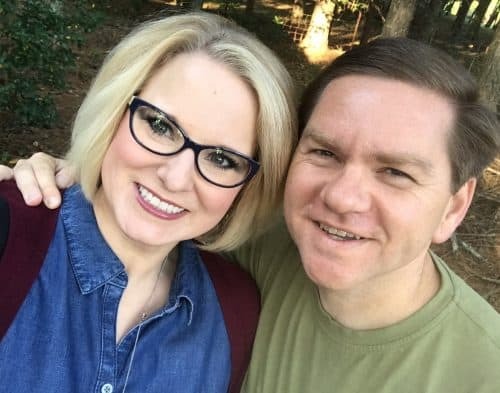 Over the years, we’ve pretty much covered the entire Southeast in our travels and we’ve made some wonderful memories as a family. I am so grateful for all of the little adventures we got to go on when the kids were younger and in the recent years as well. So, as fall break approached we started talking about where we would like to go. We tend to keep it in our corner of the country due to time and cost but we couldn’t come up with a single thing to see/do that we haven’t already seen and done. That’s when it occurred to me that we were just planning a trip out of habit at this point. I asked the kids if they would rather go somewhere or stay home and the entire family confirmed that staying home would be nice, so Ricky took off a few days from work and we planned our very first “staycation”. The one stipulation we had, to keep it in line with an actual vacation, was that there would be the bare minimum when it came to housework. We gave ourselves permission to relax in our home instead. We had a few books we have been working on and we spent most of our time chatting over those, reading them aloud, chewing on the insight we had gleaned, drinking coffee, and resting. Toss in a lunch or two out and a couple of walks in this glorious fall weather that has descended upon us and this quickly turned into an event we want to repeat as often as possible. 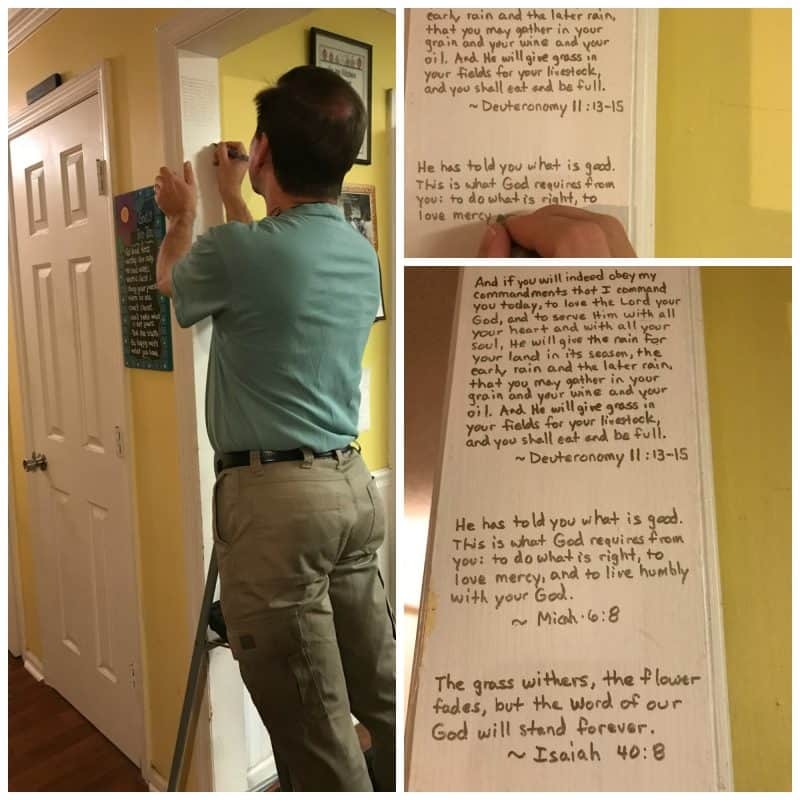 And lastly, We decided to have some fun decorating our home courtesy of inspiration from Deuteronomy where it says to remember His commandments and write them on your doorposts. My husband’s freakishly neat handwriting came in handy. We plan on adding more verses later. And now, with fall in full fun swing here in Alabama (Thank you, Lord! ), I’m sharing a decadent cookie recipe with you that will have cookie lovers and chocolate lovers singing your praises! This is a recipe I developed a couple of years ago and they have become a dear favorite of mine. 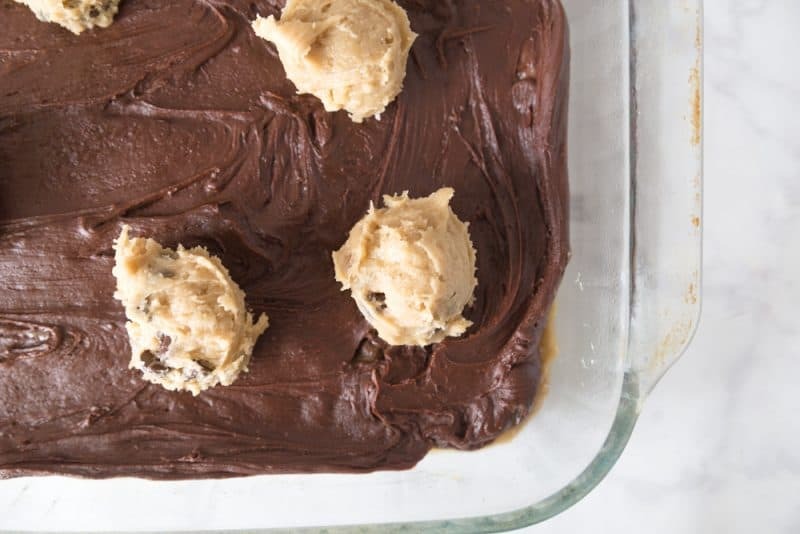 Of course, I’m a cookie lover through and through but this one hits all the right notes and contains all of my favorite ingredients in a convenient bar cookie. I MUCH prefer bar cookies since they are so low fuss and perfect for traveling with. Family gatherings, potlucks, bake sales, class parties, and office events just about stand up on their hind legs and beg for these! The ingredients are simple and you don’t even need a mixer, just stir it all together by hand. 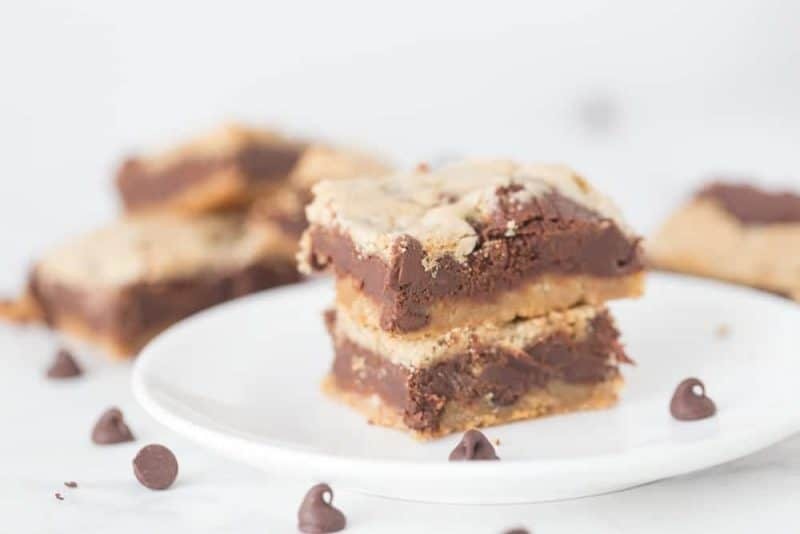 You’ll need: Semi-Sweet Chocolate Chips, Baking Mix (such as Bisquick), Sweetened Condensed Milk, Dark Brown Sugar, Butter, Eggs, and Vanilla. As always, the full recipe is in printable format at the bottom of this post. In small pot or microwave safe bowl, combine sweetened condensed milk with 1 + 1/2 cups chocolate chips. Heat at one minute intervals, stirring well after each, until melted, smooth, and able to stir together enough to fully blend the two. 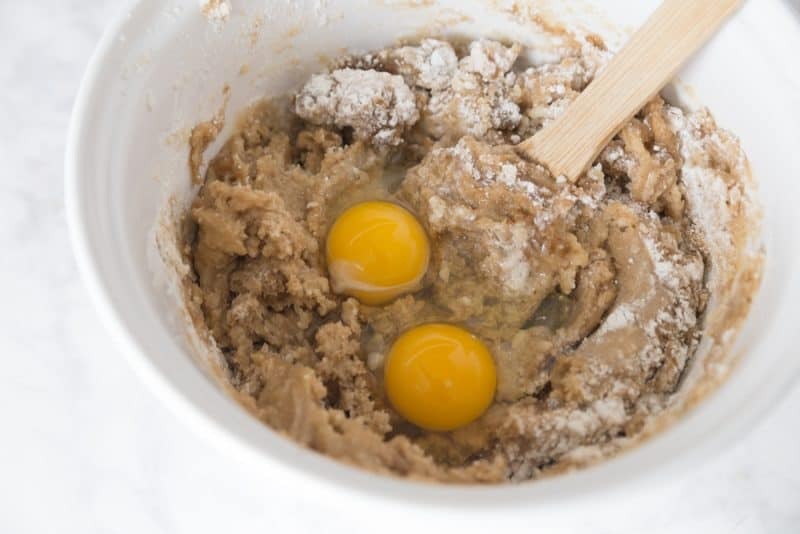 In medium mixing bowl stir together melted butter, brown sugar, vanilla, eggs, and baking mix until ingredients are full incorporated with one another. Stir in remaining chocolate chips. Spread 2/3 of batter into bottom of greased 9×13 pan. Spread melted chocolate mixture on top and spread to sides. Drop spoonfuls of remaining batter on top. Spread that to cover it a bit. It’s okay if you still see the chocolate layer through it some. That just makes for a prettier final bar. Bake this at 350 for 20-25 minutes, or until lightly browned on top. Allow to cool completely before cutting and enjoy! 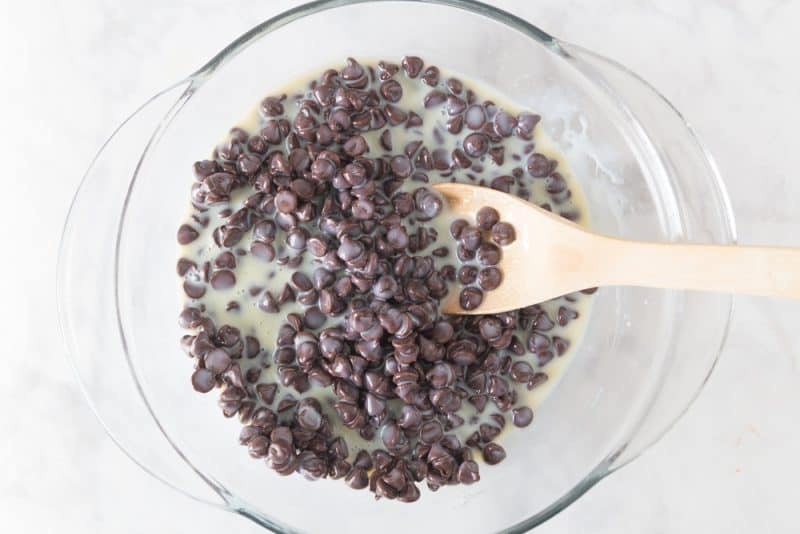 In microwave safe bowl, combine sweetened condensed milk with 1+1/2 cups chocolate chips. Heat at 30 second intervals, stirring well after each, until melted and smooth. In medium mixing bowl stir together melted butter, brown sugar, vanilla, eggs, and baking mix until well combined. Stir in remaining chocolate chips. Spread 2/3 of batter into bottom of greased 9x13 pan. Spread melted chocolate mixture on top and spread to sides. Drop spoonfuls of remaining batter on top. Bake at 350 for 25-30 minutes, or until golden brown on top. Allow to cool completely before cutting. oh who are we kidding , try some warm but cool the rest and then cut them so they'll be pretty. If you have a friend who might enjoy this recipe, please share it with them. You can email a link to this post, share on Facebook, or pin it on Pinterest. Doing either of these helps me tremendously so thank you! Thank you Aileen, I hope you get the chance to try them soon!! Recipe looks great and I love the scripture writing on your wall idea!! Can you please post the recipe for the baking mix? 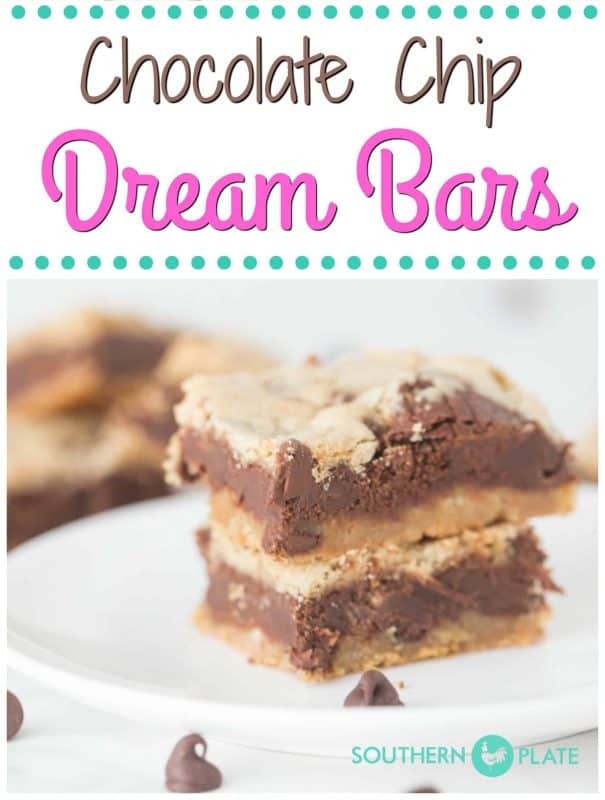 Would love to make these for my chocolate loving teenager! For the baking mix, she says above in her article that you can use Bisquick. So glad you enjoyed your stay-cation! 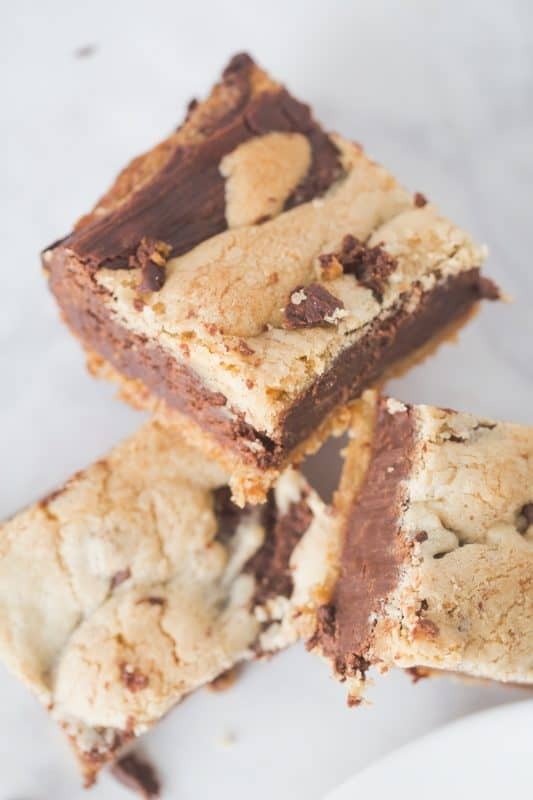 These cookie bars look divine! Thank you Julia!!! I hope you get the chance to try them soon!! 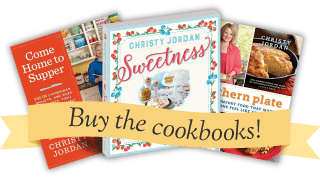 https://www.southernplate.com/?s=coconut+pie has three different coconut pie recipes from Christy. When you use butter in this recipe, is it salted or unsalted, or can I use margarine? Thank you! Love your recipes and your stories and how you honor God in what you do. I don’t keep dark brown sugar on hand. Would light brown sugar be ok to use? Absolutely! I just like dark but I’ve used light plenty of times as well. Just got with what you have. Good recipes I hope to try soon. . I love to see you writing scripture on “.the door posts ” of your room. Thank you so much Kay, I hope you get the chance to try them soon as well. 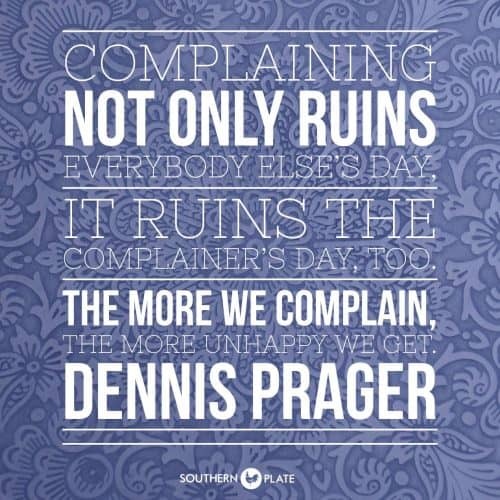 Have a blessed day!!! 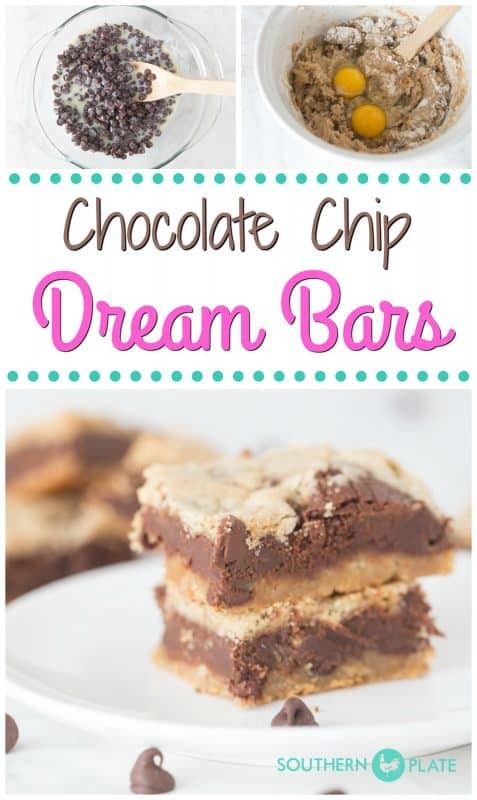 Christy, I cannot wait to try both the chocolate chip dream bars and the pecan pie muffins. Both are my favorite desserts as far as cookie and pie.. most of all, I love your scripture wall. I will have to share this with our ladies Bible Study.. Have a Blessed weekend. Thank you so much Pam, we are loving it too!! I hope you get the chance to try them soon. I think you will really like them!! I made these for my coworkers this week and everyone enjoyed them. Very rich and sweet so you only need a small square! Leftovers are best microwaved for a few seconds…just like out of the oven. So many great recipes this week, I can’t decide which to make first. These look AMAZING!! I always love your recipes. Thank you for sharing. I have made these twice in as many weeks and both times they knocked everyone’s socks off! I even made them healthy! (Wink, wink)… I used “heart healthy” Bisquick.. Seriously, I love recipies like this where you have all the ingredients, no running to the store…. Thanks !! And LOVE, LOVE, LOVE your blog. Thank you so much Arbella!!!! I like the way you think . Now that I know the trick I will have to make mine healthy the next time. Hello from the UK! I just made these today with my toddler and he is currently eating one with great enthusiasm and making a huge mess we don’t have bisquick over here so I used scone mix and it worked out great. Thanks for a lovely easy recipe! I am so glad y’all liked them!! I bet scone mix is VERY similar to Bisquick, I am so glad you shared that in case someone asks at some point what they might have that would be similar! !